Friendly staff, clean facility, nice storage place! Clean, weather tight, door and latch work easily. Entry gate is reliable. Rental process was electronic and easy to use. Easy to rent! clean, and ready to go! 24/7/365 availability and rental all online! WOW! Storage Units, Staff, and Security have been Top Notch!!! Easy online or over the phone set up, emails & texts for communication making it quick and convenient!! I'm very Satisfied with all they have to offer! !😁❤ The things I'll enjoy with this unit, compared to my last storage unit company are - Easy Sliding Doors Including Latch😁(no more bruised and cut fingers trying to slide latch open YAY! ),Cement Ridge for floods, Electrical outlets, Security, Room to move vehicle around outside, & Insurance coverage. I Am So Happy With The Storage Group!!! helpful phone staff, easy online application, clean and secure facility. Hassle free sign up and clean, well-maintained units. Everyone at the office was friendly and helpful! Great location, easy to use and access! Very friendly staff. Always a good experience coming in to pay for the month. Never a problem. If I ever need storage again and I am gonna stay in the area I'd pick you again for sure. Thanks for your help. Very easy to sign up for a unit, very clean, very well protected. It made my move easy. The online process is amazingly easy and slick to use. Took maybe 15 minutes, if that, and then we were good to go with our unit. Highly recommend! The Storage Group was easy to access and we had great customer service throughout the process of getting a unit. So grateful for how easy the storage group makes renting and accessing our unit. My husband and I are in the middle of chaos while moving and the storage group was so easy to work with and we were able to start moving our belongings into the unit the same day! We are thankful for this easy transition. The ability to sign up online without having to take time away from work was a blessing. Thank you storage group! We moved in to our storage unit this week and it is just what we needed. We found the space clean, easily accessible, secure and in a pleasant part of Spring Lake. Finding the site on-line was no problem and it was very easy to reserve and contract for a unit. Ours is 10 x 10 with plenty of room for our stuff. When I had a question I called and spoke with Chad who answered my question right away. We are very happy that we chose the Storage Group. Very clean and easy to work with. You can do everything yourself online too! Convenient locations, I was in and out within 5 min. Facilities are clean and we'll maintained. 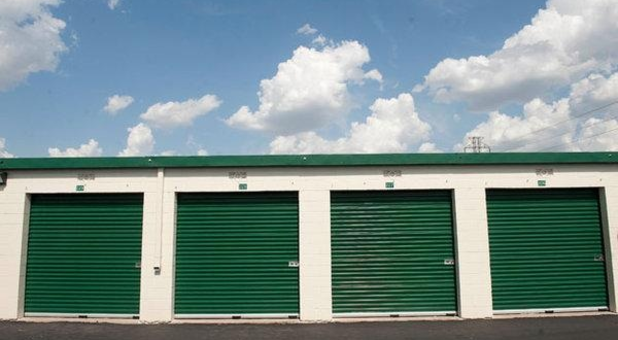 This is my second time using their storage units and will continue to do so again if needed, always my first choice. Easy to rent online and email confirmation was prompt. Facility was clean and unit was move in ready. It was easy and enjoyable setting up our new storage unit at the The Storage Group. The facility is very clean, spacious, well secured, and easy to access in Spring Lake. It was very convenient to rent online and enter/exit the facility. Very clean. I found my storage unit clean and ready to use. The area is secure and well managed. It was easy to reserve the unit online. Was very simple and fast to book online. Staff was very helpful when I called with questions! Reserved my unit online and was in it within an hour! Great service and very helpful when I had questions. Clean facility, handy location, easy online interface...amazing price! I had been searching for a storage unit for a few weeks. I came across The Storage Groups website and it was easy to find what I needed. The rental process was simple and quick and the value is great. I even got to meet the owner the first day I rented the unit he is very nice and takes his customers concerns serious. I highly recommend The Storage Group if you need extra storage space or just a holding space. It was a pleasure storing with this group. Staff was prompt in addressing questions and made the experience seamless. It was a great experience. And the lady that did my paperwork for my rental. Was very informative and very pleasant to work with. Made it go fast and enjoyable. It was easy doing business with you. All questions were always answered. Entry and exit of the unit was simple. Great staff Great secure facility!!! Great service. Thank you! Exactly what we needed between moving out of our old house (staying at my in-laws for 3 months) and moving into our new house. Thanks so much for the Use of the unit and ease with which I was able to rent and vacate! It was a most excellent experience. Good place to store. Storage as advertised. Staff were very helpful in getting set up - friendly, proficient. Storage unit was clean with no evidence of bugs or rodents. Would recommend. Awesome staff. Would rent from them again!! Great Place to Store your STUFF!!!! I changed storage areas because of cleanliness and bug problems. The experience here has been amazing . Clean units, office staff very friendly and helpful. Very secure am so happy that I found this place!!!!! I have rented your truck for moving and 2 of your storage units all are well maintained, clean and fairly priced. ALL of your staff is friendly and professional. If I ever need storage space again I will contact you. Chad and his staff were always helpful and friendly. I liked having the key code and the ability to get into the unit at anytime. Thanks! Great storage unit and friendly staff. Thanks for all your help this past year! Thank you so much for your patience and service. I made my reservation online. When I got to the office I completed the necessary forms and got the keys in a matter of minutes. Everything seems great! Thanks for staying late the other night for me. The Storage Group is a wonderful business. The July special of $1 for the month really helped my needs. I would and have recommended them without question. The safety and security are a great asset as well. Knowing that your items are secure and safe alleviates any concerns for your possessions. Chad was very helpful and knowledgeable. I like that you can actually see a sample unit at the facility to make sure it's the size you want. No improvement needed. Your awesome!! I've been very happy so far. The free truck rental plus miles for the first 10 days was a great bonus. Happy so far.